VICTORIA - For the first time, the British Columbia government has released the travel expenses of members of the legislature after a scathing report by the auditor general said the legislature's financial books were a mess. The expenses released Wednesday cover the first six months of this fiscal year, from April 1 to Sept. 30, and show B.C. 's 85 MLAs spent a total of $1.5 million. 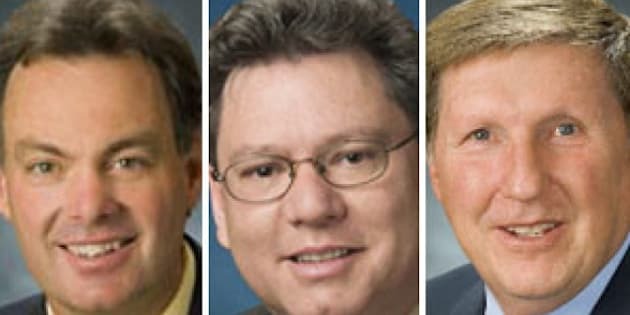 The biggest spender was New Democrat Robin Austin, who billed $53,606 during the period, followed by Speaker of the Legislature Bill Barisoff, a Liberal, whose expenses were $46,410, and Columbia River-Revelstoke New Democrat Norm MacDonald, who billed $45,332. Austin's Skeena riding is located in northwest B.C. and involves lengthy, regular travel to Victoria from his home communities of Terrace and Kitimat, both located more than 1,000 kilometres northwest of Victoria. Austin's travel expenses also included a trip to Colombo, Sri Lanka last September to attend the 58th annual Commonwealth Parliamentary Association Conference. Austin was invited to attend the conference by Barisoff as a representative of the Opposition at the gathering. His expenses, approved by the office of the Speaker, were $19,486. Barisoff's own travel costs for the event were $5,648. The travel expenses of other rural MLA's indicate the cost of travelling from distances beyond Vancouver Island and Metro Vancouver. Stikine New Democrat Doug Donaldson's travel expenses were $42,678, while Cariboo-Chilcotin Liberal Donna Barnett posted $27,732. Barisoff said B.C. residents want accountability on how their tax dollars are spent, and the release of the travel expenses helps meet that expectation. But the posting of the expenses came only after Auditor General John Doyle released a report this summer, saying the financial books of the B.C. legislature were so chaotic that it was impossible to tell if money was being well spent. Doyle's report found that MLA credit card bills were being paid without receipts and the legislative assembly hasn't produced financial statements despite a 2007 recommendation from the previous auditor general. Legislative clerk Craig James told the all-party legislative management committee earlier this month he's been making progress on getting the legislature's financial books in order with the help of outside agencies.